Making sure you select the best bass pickups for your playing style is the most important thing you can do for your sound. Here are my top choices. Choosing a new bass pickup is probably the most dramatic difference you can make when it comes to the sound of your bass guitar. Unless you go out and actually play each one, it can be impossible to find which one you like the most. 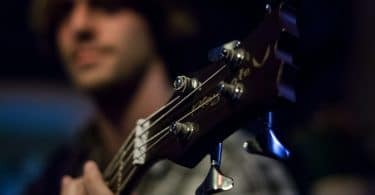 In this article I’ll go over my choices for the best bass pickups for a few different styles of music to save you the time and hassle of trying to figure it out for yourself. What’s The Difference Between P and J Bass Pickups? You might see the letters “P” and “J” slapped onto the names of different pickups. These letters stand for Precision and Jazz. 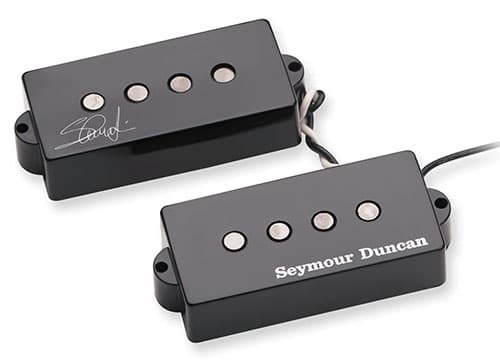 P pickups are a split-coil design, which means that there are 2 separate boxes next to each other. Each of these boxes picks up just 2 of the bass strings. Both coils are wired together making them humbucking - which essentially means that any extra noise and hum is cancelled out. J pickups are sing-coil, meaning that it picks up all 4 string on its own. It’s not humbucking like the P pickups, but it can be wired with another reversed J pickup to become humbucking. As far as the sound goes, P pickups are known to have more of a low-end punch to them while J pickups tend to have more of a bright pop and clear high-end. Because of this it’s more common to see P pickups in heavier styles of music like rock and metal, while J pickups are more commonly seen in soft styles of music like jazz and country. Like most guitar gear though, there are plenty of exceptions and alternative pickup designs. You can find many bass guitars with a Precision pickup in the in the middle position and a Jazz pickup in the bridge position for the best of both worlds. You can also find things like split-coil J pickups by manufacturers such as Dimarzio. When Iron Maiden’s legendary bassist Steve Harris says he wants custom pickups, you listen. 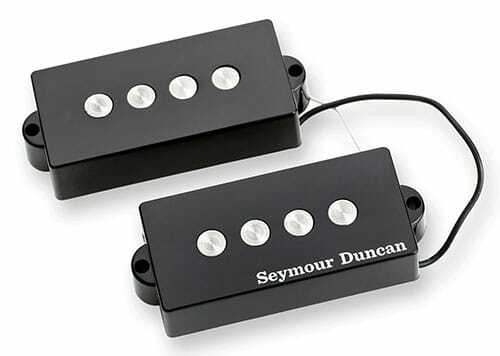 Luckily Seymour Duncan was up to the task and created the SPB-4 Steve Harris signature P-Bass Pickup. Hand-crafted in Santa Barbara, the SPB-4 pickups are created with a low-mid boost that adds a large punch and full body, while still maintaining a crisp and controlled high-end. The hand-ground Alnico 5 rod magnets and vintage-hot custom wind of 13k Ohms gives it a very unique and aggressive bite. Because of how dynamic they are you can really dig in and not worry about clipping. 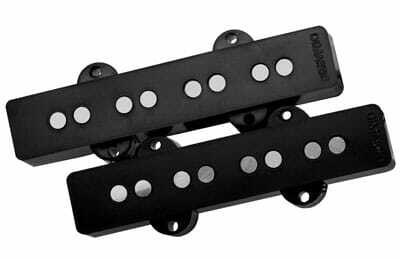 These pickups have a very vintage sound to them, all while maintaining a tight low-end and boosted mids. The reason why I put these pickups in the “Best Pickups For Rock” category and not Metal is because while they’re hot, they aren’t overly hot, which makes it great for a large variety of styles. If you prefer some hotter pickups then check out the Quarter-Pound pickups in the metal section. If you want a very bass-heavy and muddy tone these are not for you, but if you are looking for a crisp, clear, and slightly aggressive bite then these will be perfect. Throw on a compressor pedal and you have yourself an amazingly versatile and tight bass sound that will fit into any mix. These Jazz pickups can be best described as being fast and musical. They maintain the traditional look of the original Jazz Bass pickups, but with a much louder output and with no noise whatsoever. Everything just sounds better. The lows are deep and warm, while the mids cut through nicely and the highs produce some amazing harmonics. The instant response and dynamics of the Ultra Jazz pickups lend itself well to styles of music like jazz and fusion. Whether you are playing fingerstyle or with a pick, you’ll get a nice crisp percussive attack with each note. Harmonic overtones seem like they jump off the strings, and it leads to a very dynamic and musical sounding performance no matter what you play. The Quarter Pound P-Bass pickups are very popular and provide a high-output, punchy, and in-your-face tone that is perfect for heavier styles of music. The feature quarter-inch diameter pole pieces which opens up the frequency range by expanding the magnetic field of the pickups. What this means for you is that there is more midrange frequency available which allows your tone to cut through the mix easier. One benefit of them being so loud is that you can back off on the volume knob a bit to really start shaping your sound. Despite being so hot it’s a pretty versatile little thing. When backed off a bit it can be used for anything from jazz to blues, and it’s also a great pickup for slap bass. 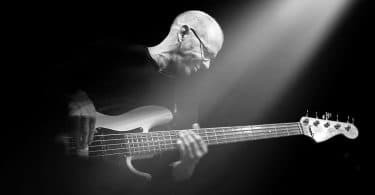 When playing funk music on your favorite funk bass guitar, you are going to need as much versatility as you can get. Whether you want to play a super aggressive and funky slap bass or a smooth Motown groove, the active EMG PJ Bass Pickup Set will have you covered. This set combines the EMG-LJ and EMG-P pickups into one unit. 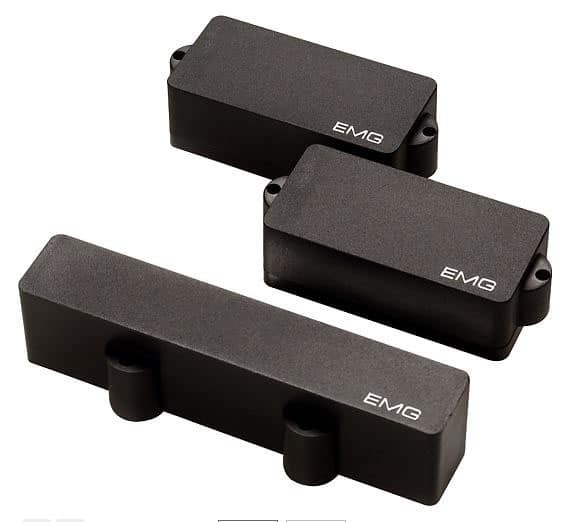 The EMG-P uses short, low-resistance squat coils, and because they aren’t in a series they provide about twice as much low-end as a passive pickup. Ceramic magnets are then added to increase clarity, and steel poles were added for more warmth and midrange. All of this leads to a huge low-end range, and a very defined and punchy midrange. The EMG-LJ features a very low ratio of resistance to inductance that increases the low frequency response. This leads to a full-bodied classic jazz bass tone which pairs perfectly with the more punchy EMG-P.
Used separately or in combination with each other, these low-noise pickups will make sure you are covered with whichever kind of tone you want. Though it can be tempting to install your own bass pickups, unless you have experience doing so it can easily go wrong. I’d highly recommend allowing a professional to do the task for you. Coil wires can be extremely thin and sensitive to the touch so one wrong move can kill the entire pickup. As always, everybody is going to have a different opinion of what sounds good to their own ears. Before you buy bass pickups make sure to read through some reviews, listen to audio samples, and go try out the pickups in person if you can. Getting new pickups installed in your bass can be one of the greatest tonal enhancement decisions you’ll make and it can breathe new life into an otherwise cheap and aging bass guitar.